PlayStation VR: "Samaritan" + "The Tomb" launching October 9th 2018! Wolf & Wood has been hard at work. We're pleased to announce that the scariest franchise of all time is coming to a conclusion with the final two chapters of The Exorcist: Legion launching just in time for Halloween. We know you’ve been waiting for it! 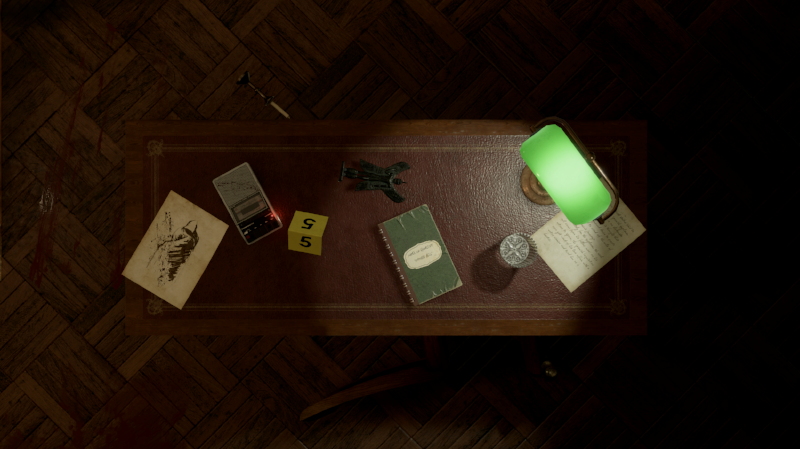 The experience that UploadVR calls “one of the best VR horror experiences available” is finally reaching a crescendo. Chapter 4 & 5 will both be releasing on October 9th. For those just joining us, The Exorcist: Legion is inspired by the mythology leading up to and following the Exorcist III feature film and franchise – you’re a homicide detective assigned to investigate the ritualistic murder of a priest. The crime scene has all the makings of a serial killer, but then you discover that it’s much more when all signs point to the return of a very evil entity. You gradually transition from an ordinary homicide detective to a full-fledged exorcist as you face down several ancient forces. 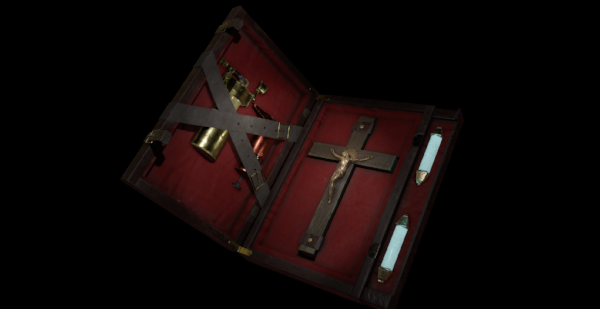 Each episode features an entirely new setting with a different demonic entity in addition to unique hidden artifacts that upgrade your exorcism kit. There’s even an elusive “Pea Soup” achievement that many players have yet to find (one of our favorite homages to The Exorcist). In this adventure YOU become the hero of the story, experiencing first hand every hair raising encounter. We won’t lie – this franchise has left quite a few VR users shaken, so buckle up! The serialized story is told through five, stand-alone episodes that run approximately 30 minutes each. Chapters 1 “First Rites”, Chapter 2 “Idle Hands” & Chapter 3 “Skin Deep” launched earlier this Summer and now the final two installments take the story to its epic conclusion. 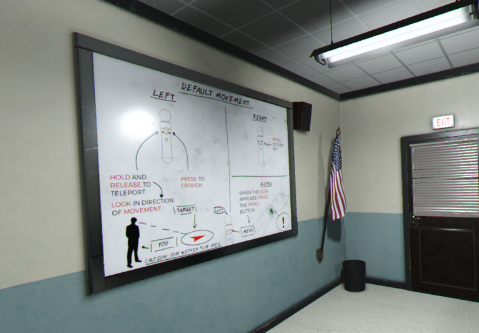 In addition to these final episodes, we have also made some upgrades to the calibration system in the police department “training room” as well as additional comfort settings to give players the most immersive experience possible (comfort blinders will be optional!) We’ve added new languages, bug fixes, and even more achievements. You can read all about them on our blog post here. You can buy the complete series here for only $29.99 in the US, and in Europe for €24.99.